Step 1: Enrol as a research student. As a research student you will have two distinct identities on university systems. One is your university ID and the other is your student ID. You will not be given either of these until you have enrolled. So, if you have not enrolled already then contact Twiggy Spagnuolo at the Graduate School. Step 2: Know your university login details. At enrolment you will be given a university ID (an eight digit number which starts 999…) and a temporary password (usually comprising a string of random letters and numbers). Make a careful note of the password – especially characters such as 0 (zero), o (lower case oh), O (upper case oh), l (lower case L), I (upper case i), 1 (number one) and so forth. The password is case sensitive. Occasionally there could be a delay in your university ID being set up. In this case Twiggy Spagnuolo will tell you when to expect your university ID details to be available. Your student ID and student PIN will be sent to you by email. You will need this later for use in the library (see steps 5 and 6e). Step 3: Collect your student card. Once you have enrolled you should collect your student card from The Student Centre. This is your Students Union card and you can also use it to get free bus transport between campuses, borrow books from the library and claim students discounts in some places in town. Step 4: Log in to a computer and launch a web browser. If you are on campus then you will need to log in to the university network using your university ID and temporary password. The first time you log in you will be invited to change your password. Please do this following the on screen instructions. If the PC is running Windows 7 or Windows 8 then you should prefix your university ID with the domain NORTHAMPTON i.e. your user name will be similar to NORTHAMPTON\99912345. For Windows XP the procedure is as follows: at the login screen you should click on the ‘Advanced’ button and then on the ‘Windows’ tab. Select ‘NORTHAMPTON’ from the drop-down list that is currently showing ‘STUDENT’. Now log in as usual. Step 5: Reset your password, PIN and ‘challenge response’ questions. The password you are given at enrolment is a temporary password and it will expire if you do not change it. You will also need to set three ‘challenge response’ questions that can be used to confirm your identity should you forget your password in the future and PINs for use when printing or borrowing items from the library. All of these can be updated on the user portal page. University password, PIN and Challenge response questions: log in using your University ID and the temporary password you were given at enrolment. When you have chosen your password, PIN and Challenge response questions for this account then log out. Student password, PIN and Challenge response questions: log in again, this time using your Student ID (the number shown on your student card) and the temporary password for this account. The temporary password for your student account will be your date of birth in a 6-digit format, followed by the first 2 letters of your family name (with the first letter being a capital letter and the second letter being in lower case) and followed by the = sign. Don’t forget to log out when you have finished. If you have any difficulty logging in to the user portal or changing your password or challenge response questions then IT Services are there to help. (If you can’t log in then call them on 01604 893333). Step 6: Check that you can access the various resources and services. a) University email: www.northampton.ac.uk/mail. This is the staff webmail service. All research students are given an account so you can easily keep in touch with your academic colleagues. Unless arranged otherwise, all communication between you and the university will take place through this email account. Your email address will usually take the form firstname.surname@northampton.ac.uk. If you cannot access your university email then contact IT Services for help. b) University file storage space: As a research student you have your own storage space on the university’s network. This is accessible from any university computer on campus (you will see it as the R: drive on Windows Explorer) and off campus you can access it via the Fileway service. If you wish to use Fileway you will need to contact IT Services to have it enabled. Allow up to 48 hours for this. You are also allocated storage space on OneDrive. There is a link to OneDrive on the Student Hub. c) NILE: nile.northampton.ac.uk. NILE is the university’s Virtual Learning Environment. NILE contains a range of tools and sites that may be of interest to research students. It is important that you are enrolled onto the NILE site RES001 Researcher Development since this contains links to training materials from Graduate School programmes and other useful information. Log in to NILE using your university ID and password. RES001 should appear under ‘My Sites’ on your NILE Home page. If it does not appear or you have any difficulty logging in to NILE then the Learning Technology team (learntech@northampton.ac.uk) should be able to help. Students registered on a professional doctorate programme (the DBA or DProfPrac) will use their Student ID to access course and module NILE sites. d) Electronic resources from the library: http://nelson.northampton.ac.uk/. 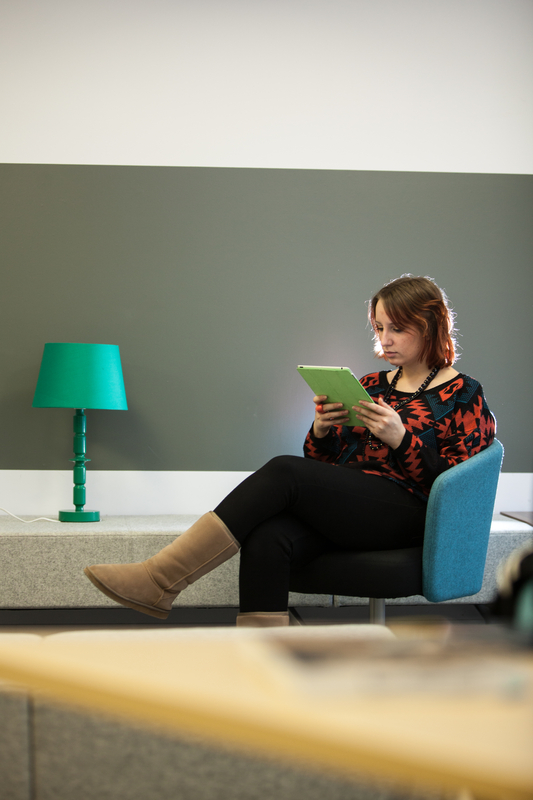 NELSON is the place to go for journal articles, ebooks and other electronic resources. NELSON itself is a resource discovery tool which allows you to search across multiple databases at once, but if you wish to access a specific resource (e.g. Web of Science or Lexis) then the ‘Databases‘ tab on NELSON will allow you to do this. It is recommended that you use the Sign In link at the top of the NELSON home page, but if you don’t do this you will be prompted for your university login details later. In addition, the first time you Sign In to NELSON you will be given the opportunity to specify your subject discipline; this will enable your NELSON results to be listed in an order that is relevant to your discipline. If you would like some help with using NELSON to find resources specific to your PhD topic then you should contact the Academic Librarian for your subject. For general support in using library resources, the LLS Research Support team (Dawn Hibbert and Nick Dimmock) are there to help. e) Your library account: http://www.northampton.ac.uk/librarycatalogue. To borrow books and other resources from the library you will need your student card (this is available from Admissions (admissions@northampton.ac.uk) if you haven’t already got one). Your student number (student ID) is shown on your card and a student PIN number to go with this account will be sent to you by email. You can change your PIN using the User portal as shown above (step 5). There are nine self-service machines in the libraries at which you may issue and return items; if you need help with this then just ask a member of library staff. Use the My Account tab on the Library Catalogue to see which items you have borrowed, renew books, check progress on your reservations and view other information about your account. You will need your student ID and PIN to log in to the Library Catalogue and to make inter library loan requests. If you have any questions about using the library then check out the library web pages or contact libraryhelp@northampton.ac.uk for help. f) Printing from university computers. To print from a university computer you will need to log in using your university ID (999… number and password) and send your work to the printer in the usual way. It will be held in a secure queue so that only you can print it out. At the printer you should enter your university ID and the university PIN which is associated with this account. You will then be able to choose from a list of your documents for printing. Printing up to a reasonable limit is free for research students, subject to your logging in as above. If you have any difficulty with printing in one of the campus libraries then help is available at the nearest information point, otherwise you will need to contact IT Services for advice. g) Research Support Hub: You are reading a post on the university’s Research Support Hub, The Hub is the place to go for the latest university research news, forthcoming events and research support. It’s a good idea to bookmark the Research Support Hub on your browser or you can follow it remotely via email or RSS feed. h) Gateway: Gateway is the University’s online postgraduate research management system. Log in with your University ID and use it to track your progress, log your supervision, book workshops and manage your researcher development. You will also use Gateway to apply for transfer and manage your thesis submission and examination. Read this blog post to help you get started with Gateway. Step 7: Don’t forget to ask for help. 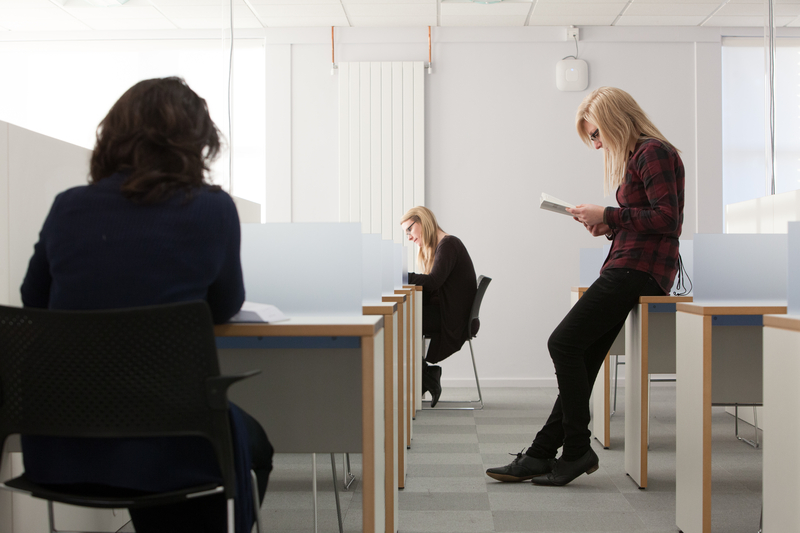 There are many people here at the University of Northampton who are ready and willing to make your early days here as stress-free as possible. Your academic colleagues – fellow research students and supervisors – are a fantastic source of advice, but so too are staff in the Graduate School and Library and Learning Services (LLS). Please feel free to contact any of us. Posted on February 28, 2014, in Library, Northampton Business School, School of Education, School of Health, School of Science and Technology, School of Social Sciences, School of the Arts, Support and tagged FAQs, Graduate School, howto, induction, IT Services, library, research students. Bookmark the permalink. 2 Comments.